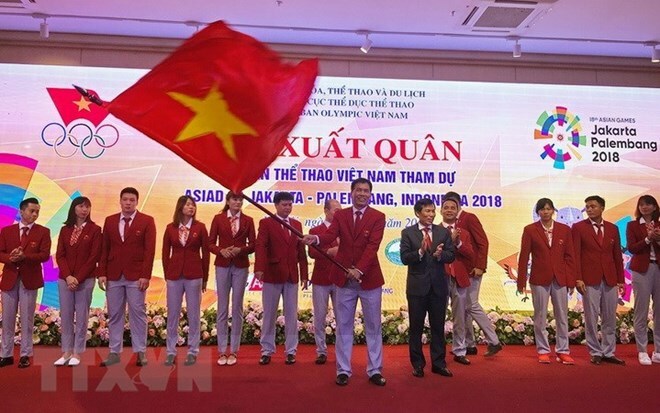 Hanoi (VNA) - A total of 30 billion VND (almost 1.3 million USD) will be invested to help prepare 27 head coaches and 66 athletes for key international contests in the next few years, according to deputy head of the Vietnam Sports Administration Tran Duc Phan. With the SEA Games in the Philippines by the end of this year and qualifiers for the 2020 Tokyo Olympics, SEA Games 2021 and ASIAD 2022 on the horizon, Vietnam’s sports sector is entering a crucial period. Top names like champion of the 2018 ASIAD long jump Bui Thi Thu Thao and swimmer Nguyen Thi Anh Vien are set to receive the sponsorship. Vuong Bich Thang, head of the administration, said if selected coaches and athletes cannot remain their form, achievements and morals, they will lose funding and other athletes will get it. Thang said no footballers will be supported as they already receive more funds than the administration can provide from the Vietnam Football Federation (VFF).